Just a few meters from the shore of the sea, on the beautiful coast of the Mediterranean Sea, lies Cathy's House. 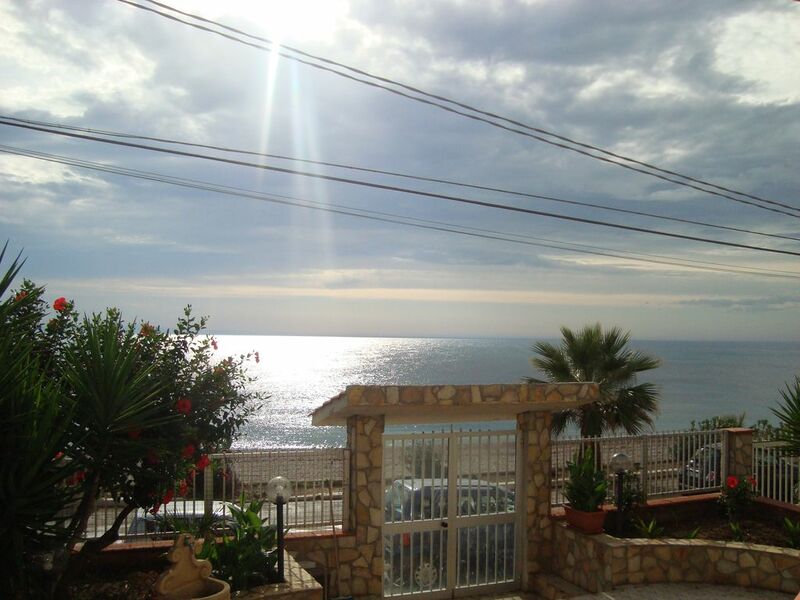 Charming three-room apartment consisting of: living room with kitchen, a veranda overlooking the sea, where you can admire stunning sunsets, two bedrooms and a toilet; fully furnished and available immediately, with possibility of barbecue. Cathy's House is the perfect location to spend your vacation in the best of tranquility and relaxation. Cathy's House can easily accommodate four people. The property is a few kilometers from the archaeological sites of Agrigento and Selinunte and the beaches of Eraclea Minoa and Torre Salsa. Easy to reach both from Palermo and from Trapani and Agrigento. Animals are not allowed; Banquets are not allowed with many people in order not to disturb the quiet of other guests; High volume music is not allowed; Electricity consumption and water all included. Casa come da descrizione, pulita,comodissima davanti al mare, proprietari gentilissimi e super disponibili per ogni esigenza, inoltre carinissimi ci hanno fatto trovare tutte le cose di prima necessità. Zona tranquilla ma in 10 minuti a piedi si raggiunge il lungomare più vivo con bar, gelaterie ristoranti ecc. Mare pulito di ciotoli molto bello. Buongiorno sig.ra Deborah, ci fa veramente piacere leggere che la Vostra esperienza presso la nostra Casa sia stata piacevole e positiva. Ci auguriamo di poterLa sempre annoverare come nostra ospite. Cordiali saluti, Caterina e Santo. Seccagrande is the most famous seaside village of Ribera, located about 10 km from the town. The village is very pretty with an extended promenade, meeting place for young people, families, etc., where you can go for walks and have drinks, ice creams, etc. Beaches frequented by young people and families with children. Blue and crystalline and uncontaminated sea. Sicily is full of beautiful beaches and Seccagrande is one of these and is easily accessible. Location area is very quiet with a location right on the sea front. All you have to do is cross the road and you will immediately find yourself on the beach, formed by small pebbles (small stones, rounded and smoothed by the sea current). Area without public facilities, the ideal location to spend the best time of your holiday to the maximum of tranquility and relaxation.